So, because - Card Game. 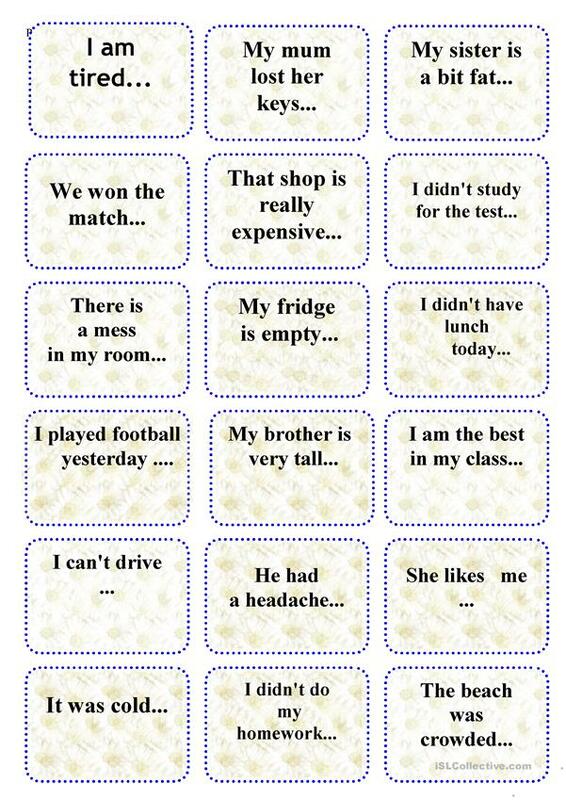 Ss play in groups of 3 or in pairs and finish the sentence on the card. If the sentence is correct they keep the card. They need a dice or a coin. This downloadable worksheet is recommended for high school students and elementary school students at Pre-intermediate (A2) and Intermediate (B1) level. It is aimed at revising Clauses of purpose (e.g. in order to, so that, so as to) in English, and was designed for developing your pupils' Speaking skills.